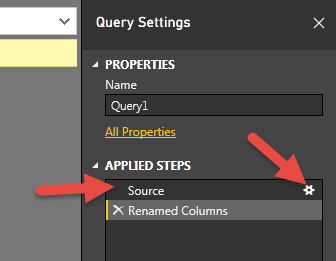 Recently, we had some end users start to use Power BI for Reporting Services. Instead of trying to design a large Data Warehouse, we decided to let them enter their own queries from source data. These were similar queries in regular reports run everyday. We wanted to do this to find out the columns and tables used in reports. We snooped around the Edit Queries button and really did not see it. After clicking the Edit Permissions button, the above screen appreared. 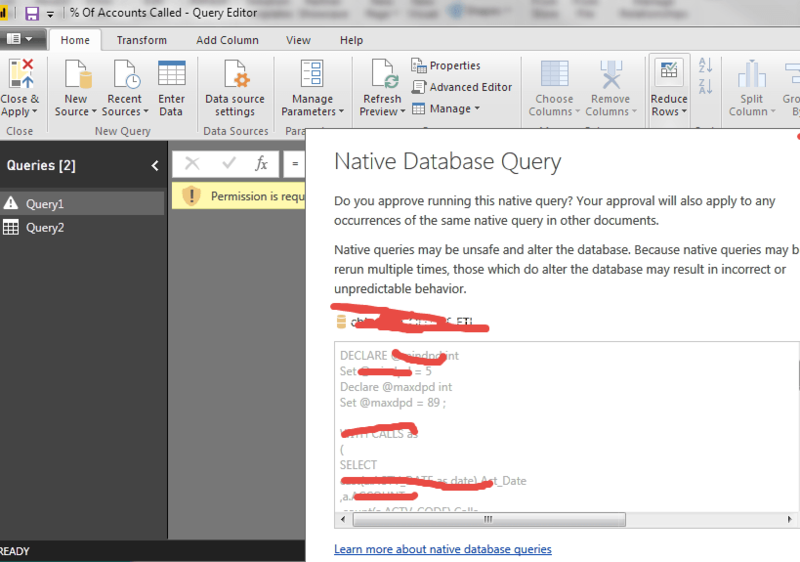 There is a link on the bottom to read information about native queries. Then it occurred to me, the Applied Steps has an icon to the right of Source. Bingo!!! 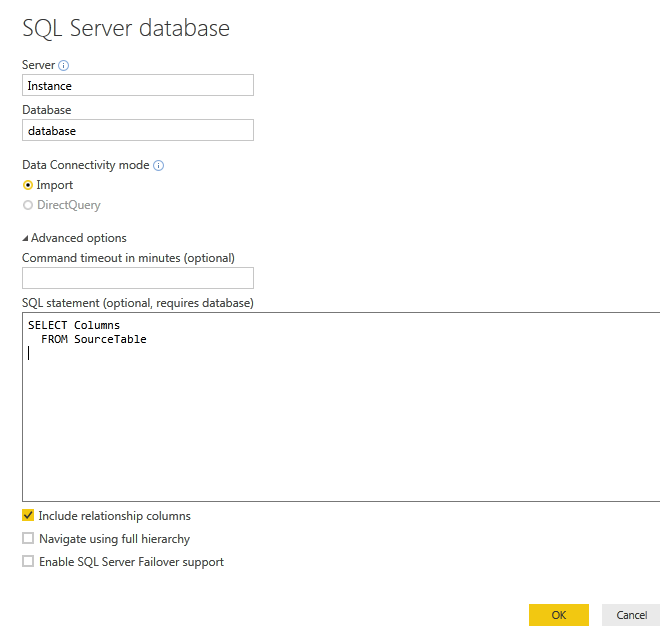 I can change the database, server and Select statement. A friend told me it is there, but not intuitive. He was right.